In away it's a shame the great man he didn't die a month earlier, he could have gone into space in a Tesla. all-round good guy who will I am sure be missed by many. Many thanks for your entertainment and fond memories RIP Jim. Last edited by 1batfastard; 1st April 2018, 09:54. Surprised nobody has mentioned the passing of the comic with a velvet voice Ken Dodd. I remember him from various times in my life from watching him in B&W on telly with the family and in Colour with the Diddymen series from my school days. As I grew up I enjoyed him still whenever I saw him on Tv what I regret above all else is never seeing his live show despite him carrying on performing well into his late 70's & Early 80's. By some accounts when the curtain fell and he did an encore he got rather blue and would carry on for hours if allowed such was his enthusiasm for pleasing his paying public. The passing of this all-round entertainer is another passing of childhood and adult memories combined again thank you Doddy for your entertainment you where and always shall be tatyfelareous RIP. 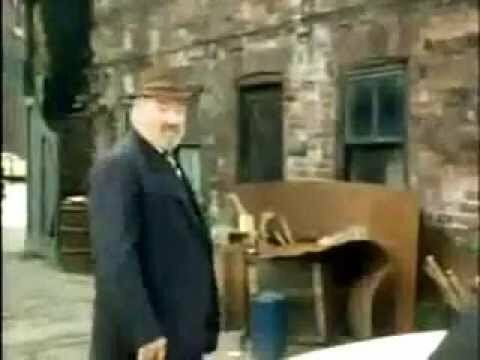 Here is another passing Bill Maynard aka Selwyn Frogitt/The Gaffer/Greengrass and many other comic cameo characters in Tv Series and film as many will remember him as another all-rounder that will sadly be missed by his family and all who knew him personally as to his his fans alike. Thanks for your entertainment and making me laugh through the years. RIP Mr Maynard.